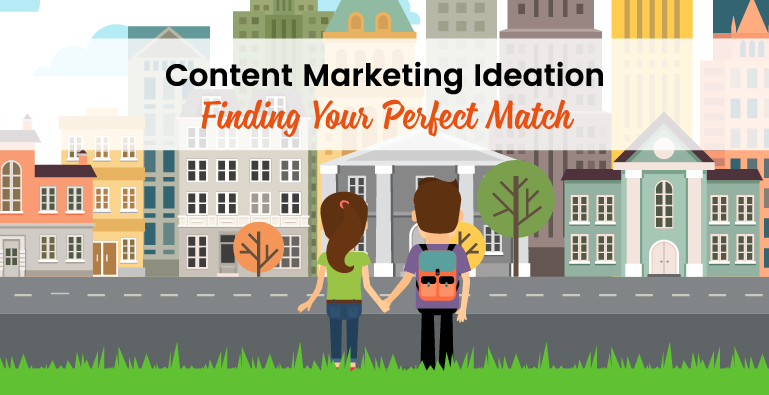 Finding the idea that is right for you can be as challenging as finding the perfect mate, and what might be ideal one day might not continue to work as time goes by. This is why companies need, not only approaches to help them find their perfect content, but the willingness to try different approaches as their content needs evolve. Brain dumping is the content equivalent of an eligible single strolling into a favorite pub. Undoubtedly there will be a bevy of singles, some that pique one’s interest and some that fall flat, but the bar scene like brain dumping offers increased exposure increasing the likelihood “the one” will be found. During the brain dumping process while operating around a target audience, marketing strategists will roll out every possible idea that comes to mind. The age old adage of quality over quantity is turned on its head as abundance is the aim of a brain dump. And just like the midnight hours of a local corner pub, the end stage of brain dumping moves to evaluation. Does he like dogs? What idea worked? Does he like to go hiking? What idea didn’t? Is this a girl I could take home to mom? What idea will excite my buyer? This process, when approached with open mindedness and zeal will draw a company that much closer to its perfect match. As with looking for the perfect mate, sometimes a company needs insight from external sources along the way. When dating isn’t going well, asking a friend to set you up is valuable for multiple reasons. For instance, your friends know your personality, so it is likely they will choose someone with your interests, and friends are likely to be less blinded by your own biases. They might not know you have a thing for blondes, so they might set you up with a brunette who knocks you off your feet with her wit and banter. The same is true when looking for the right idea. Often times companies fall into routines where the same approach yields similar if not identical results resulting in lackluster content, but Content Marketing Institute suggests that getting feedback from colleagues and customers familiar with your niche can help in the ideation process. Looking to others allows a company to garner ideas from multiple perspectives which offers the utmost potential for success. When a woman finds herself unlucky in love, she will often look to her friend’s successful relationships to see what is working. Rather than hanging out at a local bar, she might notice that Rachel met her boyfriend at the gym, so she dons her workout gear and laces up her sneakers. Anything to find your soulmate, right? The same is true for content ideation. When the usual efforts are not producing ideas worth capitalizing on, it is time to look at what other successful companies in your industry are doing. Moz.com suggests using “a tool like Followerwonk to analyze who your competitor is following and followed by on Twitter.” Knowing what your competitors are doing well can translate to a company’s ability to meet the needs of their own buyers. However, titans of industry are revered for a reason, they lead, trend set, and innovate, so if you decide to emulate a strategy used by an industry leader ensure that you differentiate yourself from your competition in order to distinguish your company above the others. Lastly, one approach that can never be overlooked is the chance encounter. In love as well as marketing, sometimes great things appear from out of the blue. A girl you bump into at the supermarket could be that idea that comes to you in the middle of the night. The guy you strike up a conversation with on the subway could be that innovative new approach that hits you while cooking spaghetti. Have a plan in place for how to collect ideas that appear. Keep a stack of post-it notes in your pocket, stash a few legal pads around your office and home, or maintain an ever evolving list on your phone. The key to capitalizing on spontaneous ideas is not only writing them down when they come to you but also writing down everything. Do not discard an idea deeming it too extreme, too outdated, or too underdeveloped. As industries change, the way content is approached will change, and what you once thought was a crazy idea just might become the new industry trend.